Introducing a new Prestan AED Trainer with pad sensing system. 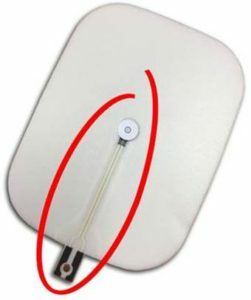 MCR Medical Blog » Why the Pad Sensing System in the Prestan AED Trainer? The high-quality pads last for over 100 applications and the pad adhesive adheres and removes well to any manikin on the market without leaving messy residue. No more damaged pads or cleaning adhesive off your manikin. Pad replacement is affordable and easy, just replace the pad not the cord. If you would like more information on the Prestan AED trainer or any of our up to date products please email us at sales@mcrmedical.com or call us at 614-782-2100. Previous Previous post: Give us your Feedback on the CPR Feedback Device: pun intended! Next Next post: Black Friday CPR-First Aid Training Supplies Deals Drop at 5PM EST Today!